Life Membership can be awarded to a past/present member of Silver City Blues Masters Swim Club at the Annual General Meeting. Life Memberships are awarded to individuals who have given exceptional service and made a contribution to Silver City Blues Masters . A nomination can be made to committee@silvercityblues.org.uk. 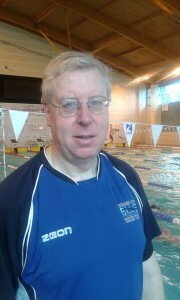 Dave is the longest serving Head Coach in the club’s history, he was on poolside with Silver City Blues for 15 years from 1995-2010. Dave scooped the Best Coach Award at the Aberdeen Sports Awards twice, firstly in 1999 and for a second time in 2004. He lead the club to an emphatic run of 12 consecutive triumphs at the Scottish National Masters Championships. Brian was recognized as a life member of the club after dedicating much of his free time to not only Silver City Blues, but mainstream, Masters and Open Water Swimming as well. 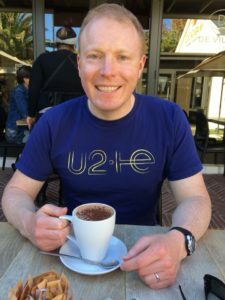 He has held the position of president of the club and has been a representative for the North District for both Masters and Open Water and a number of other roles within the wider swimming community. Brian pioneered the Scottish Masters Decathlon competition which was so successful that British Masters adopted it for the nation as a whole. He was also heavily involved in the running of the software at several SCB meets and was always on hand to help newcomers to the system. Brian has had success in swimming at every level and discipline that he has competed in. In recent years he has lead the organisation an annual “Doon the Dee” swim which has proved a popular event with the members of the club. Joining SCB in 1998 after a long break from competitive swimming during which time he coached at Inverurie and Fraserburgh. Treasurer for a number of years and President from 2006 -2009. Farquhar has represented the club at European Championships in Majorca and Sweden as well as at the Worlds in San Francisco and Montreal. Andy joined Silver City Blues after graduating in 1999. He spent a number of years on the club’s organising committee and for a period holding several roles at once. 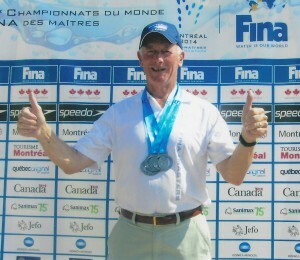 A holder of many club records Andy has (and still does) supported the meets on the Masters Swimming calendar traveling far and wide, even attending the FINA World Masters Swimming Championships in Montreal, Canada. Andy has continued to serve the club assisting with the club’s 30th Anniversary celebrations. Keit h has been President of the club on three separate occasions for over combined total of 9 years. He was the North District Master’s convener and a representative on the Scottish Masters Committee for many, many years. In these roles, he was always promoting the success of SCB and other North District swimmers, to ensure mainstream swimming were aware of our success at home and abroad. Keith is also (in)famous for competing in all 17 events at the Scottish Masters Championships each year to ensure a great points return for SCB. Keith has also flown the flag for the club representing Silver City Blues at numerous World Master s Championships, taking him from Sheffield to San Francisco. In terms of his Swimming he holds records which date back to the year 2000 and across every age category since.